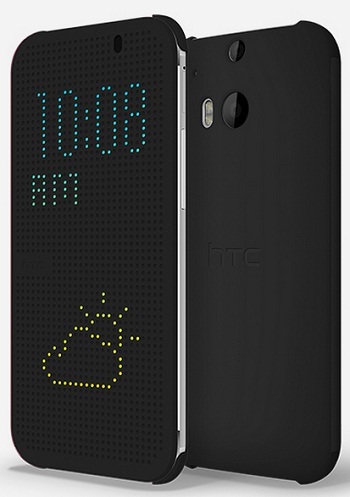 HTC, in an unorthodox move, both announced and released a new smartphone today. 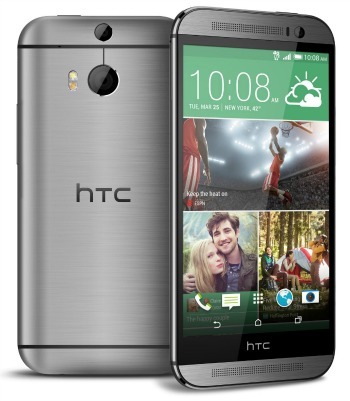 Starting at 1PM Eastern, customers in the USA and Canada were able to order the HTC One M8 via their carrier's website. Verizon customers in the US have the extra special honor of being the first to buy one in store (for $199 on contract) and T-Mobile customers can purchase one starting April 11 for $26.50 a month for 24 months. Should you buy this phone right now or wait until it comes to other retail stores like Best Buy in the next couple of weeks? Based on my first impression, if you liked the HTC One and were just waiting for the next generation to come out, there's no need to wait, anymore. My biggest gripes about last year's HTC One were that the design, while beautiful, made the phone less comfortable to hold than the Galaxy S4. The lack of microSD card slot was also a major issue, especially for a phone designed to take a ton of memory-eating photos. And the sealed-in battery meant that you'd have to live with degrading battery life. Almost all of these issues have been addressed in the One M8. It's a far more comfortable phone to hold thanks to the curved edges and the coating over the metal. But because it's still a 90 percent metal design you get all the benefits that come with that: durability, beauty, style. This time around HTC included a microSD card slot that sits flush with the edge so it doesn't mar the overall look. That it takes cards up to 128GB is a nice bonus. The battery is still not user replaceable. HTC makes up for it by adding a bigger battery that is supposed to last 40 percent longer than last year's phone. Good thing, too, since that battery life left something to be desired. As this battery degrades, you may be able to still get decent longevity. Not the best compromise, but at least HTC is trying. In addition to the bigger battery there are other power-saving measures in play. The One M8 now has two battery saver modes, one with the word extreme in the title. This isn't just hype. In Extreme mode the phone cuts down CPU usage and screen brightness, turns off vibration and the monitor, only turns on data when the screen is active, and allows only "essential" apps to run. What's essential? Phone, texts, email, calendar, and calculator. Everything else is inaccessible. Though there was no mention of Beats, HTC continues to focus on audio quality with the front-facing speakers. They're now louder and pump fuller sound. Around back there are now two cameras instead of just one. Unfortunately, HTC is sticking to the 4 UltraPixels of the last generation. I get that this is the company's big thing in camera technology, but could we have 8 UltraPixels? The dual cameras do add some fancy camera tricks to the One M8's stable, including the ability to shift focus after you take the picture to create bokeh effects, separate out elements and people in a picture from the background, and see images in 3D-ish. The camera will be a lot of fun to play around with, at least. On the accessory side, there will be several cases available at launch from your favorite companies, including Speck, Otterbox, Griffin, and CaseMate. The best case is made by HTC. Called the Dot View, it's a plastic flip case with a silicon front that does more than just turn the screen on and off. The tiny, see-through holes convey basic information without you needing to open it. Tap it to see the time and any urgent notifications. When you get a call, you can see caller ID info and either accept or reject it. The case itself has no extra electronics and is quite thin. Overall first impression is that the HTC One M8 is everything I wanted last year's One to be. It's a definite contender for best Android smartphone. It beat the Samsung Galaxy S5 to market, will it beat it in other respects? I'm looking forward to finding out.